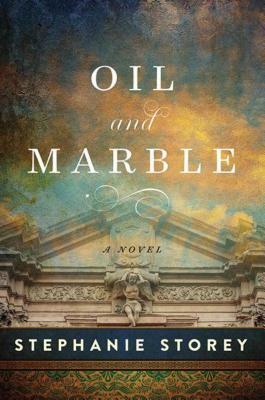 Oil and Marble is a magnificent story brimming with an all-star cast of world famous artists conducted by the talent of author Stephanie Storey. The novel centers around two of the most extraordinarily relevant talents in history, Leonardo da Vinci and Michelangelo. As chapters are cleverly divided into Leonardo and Michelangelo, the reader visits Florence and delves into the triumphs and tragedies that are guided by a strong commitment to faith and art by both these men. Stephanie Storey has succeeded at weaving these two legends together as well as creating an intriguing unforgettable classic piece of historical fiction. In her brilliant debut, Storey brings early 16th-century Florence alive, entering with extraordinary empathy into the minds and souls of two Renaissance masters, creating a stunning art history thriller. From 1501 to 1505, Leonardo da Vinci and Michelangelo Buonarroti both lived and worked in Florence. Leonardo was a charming, handsome fifty year-old at the peak of his career. Michelangelo was a temperamental sculptor in his mid-twenties, desperate to make a name for himself. Meanwhile, Leonardo's life is falling apart: he loses the hoped-for David commission; he can't seem to finish any project; he is obsessed with his ungainly flying machine; he almost dies in war; his engineering designs disastrously fail; and he is haunted by a woman he has seen in the market--a merchant's wife, whom he is finally commissioned to paint. Her name is Lisa, and she becomes his muse. Leonardo despises Michelangelo for his youth and lack of sophistication. Michelangelo both loathes and worships Leonardo's genius. "Tremendously entertaining and unapologetic in its artistic license, Oil and Marble will remind an older generation of the pleasures of Irving Stone's art historical fiction."